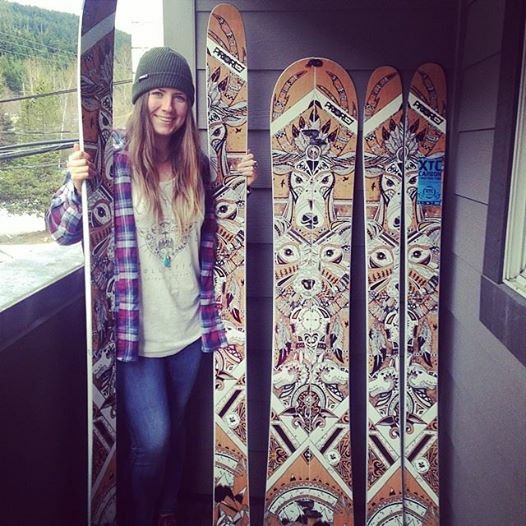 The big goal for me as an artist was to design skis and snowboards. When I first moved to Whistler full time a friend mentioned the Prior Contest to me. As soon as I looked it up I started on my piece. I drew the design to scale, scanned it in and photoshopped in the wooden background. Initially I wanted a transparent backdrop so you could see the wooden core through but the design, however, it would have been altered by the carbon rods that ran the length of the board. I handed in my design and hopped on a plane to New Zealand for 3 months. On my travels I got word that I made it into the gallery and then a couple months later checked my emails and had found out I won! I celebrated that night with new friends in Queenstown and was stoked to be coming home soon to see it! 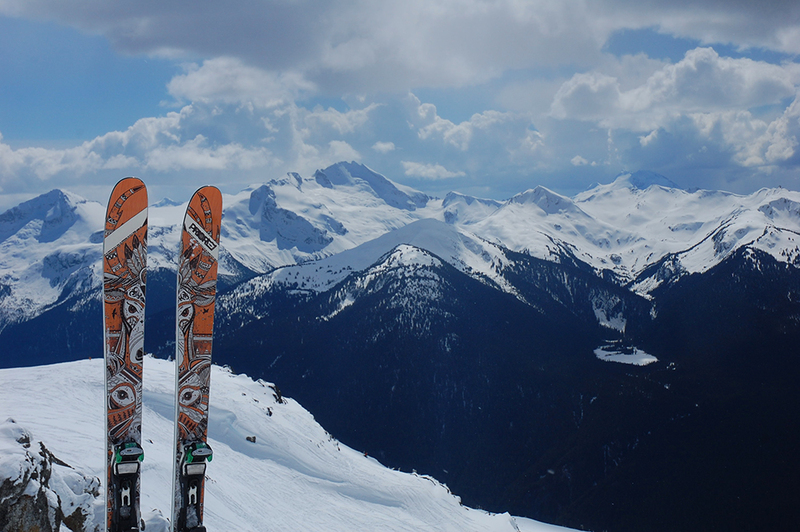 When I finally got my hands on my new skis and splitboard it was a dream come true. Today I use my prior skis as my touring set up and it is such a blessing to be able to make it to the top of a mountain on something I created. Prior is such an amazing company and it is so inspiring that they give local artists a chance to design locally made gear. The Forlise Store in Whistler had a dedicated display for Prior – you can see my designs and splitboard on the left.